I am using Appium for automating my Android app. I have a fragment to enter email and after verifying that second fragment with password field will be loaded. I am able to find all elements in the first fragment; but elements in the second fragment can’t be found using any of the methods like By, PageFactory + @AndroidFindBy. Can someone provide a help to sort this issue? 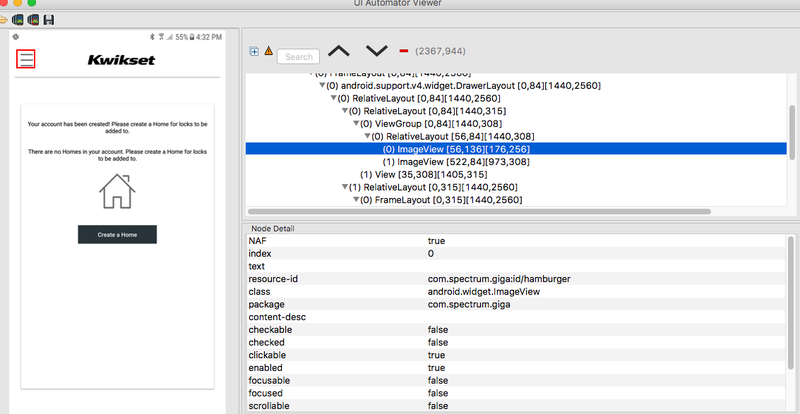 Can you post a screenshot of Appium desktop hierarchy tree of the second fragment? If I use single fragments inside activities it works fine. But it doesn’t work if we have multiple fragments inside an activity and we try to find elements inside those fragments. Please add support for Android Fragments. 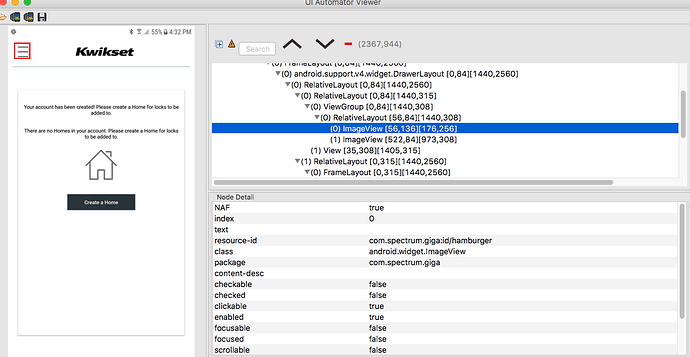 Currently I'm unable to automate the native Android application that has fragments implementation for different screens. The issue is that while navigating from one screen to the other, the driver does not find elements on the page and driver.getPageSource() returns an empty XML. My research shows that this is due to lack of Android Fragments support in Appium. Is there any official note on this?Whether appium supports multiple fragments or not? I am automating an native Android App. On login screen i am able to find elements and when it move from login screen to home screen on this screen selenium not able to find the element. I did research on this and i found this is happening due to fragment so can anyone help on this? 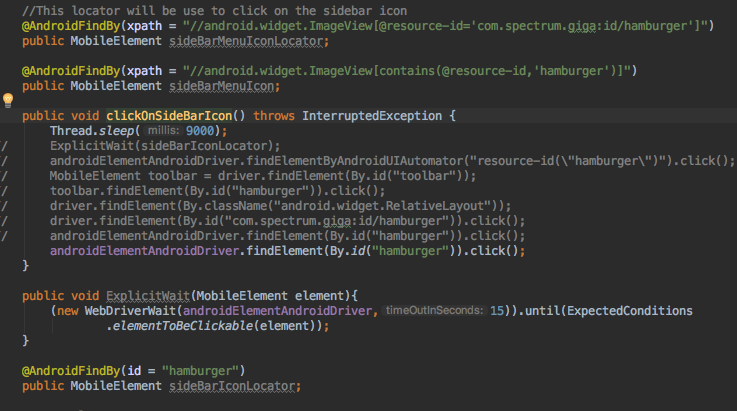 I am getting NoSuchElement exception when clickOnSideBarIcon() gets called.